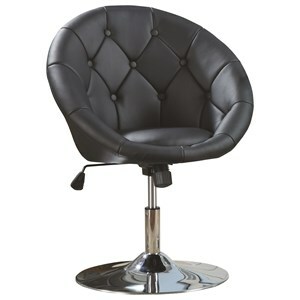 This cool contemporary faux leather diamond tufted back swivel dining chair will be a stylish addition to your casual dining room. 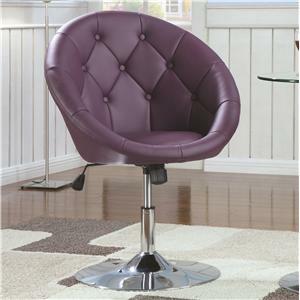 The curved chair back and seat are covered in a rich faux leather to complement your taste. 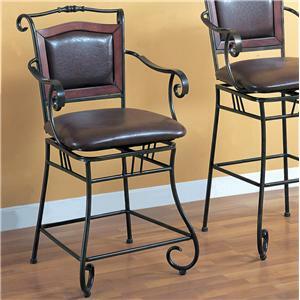 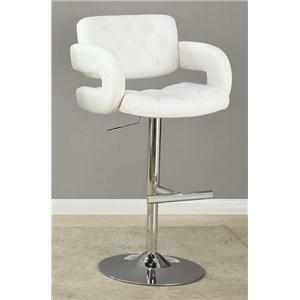 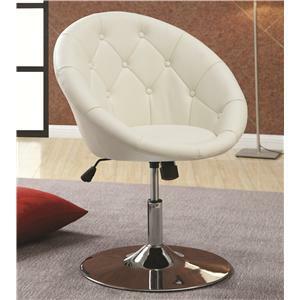 A shiny steel base with a high polished chrome finish supports the chair, adding a unique touch to this sophisticated chair. 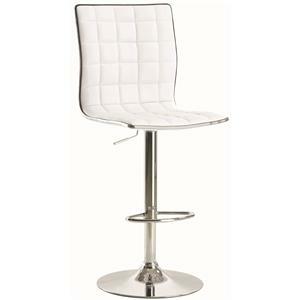 Transform your dining room with this bold contemporary look. 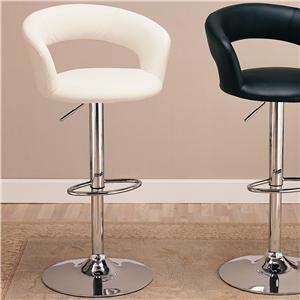 Choose from black, white, or purple for your choice of color. 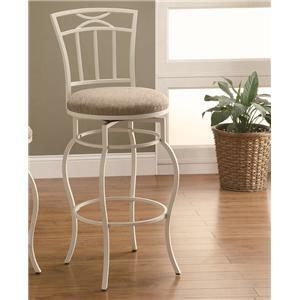 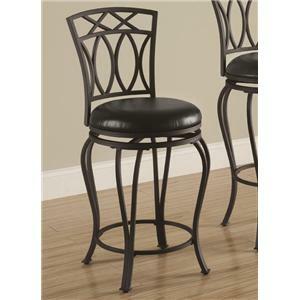 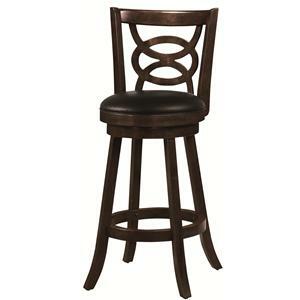 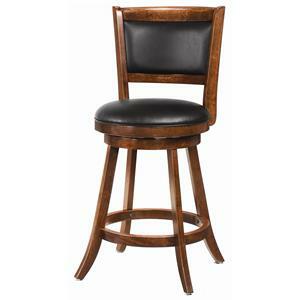 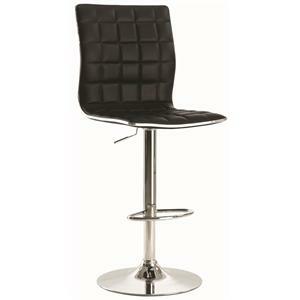 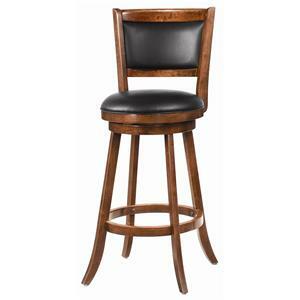 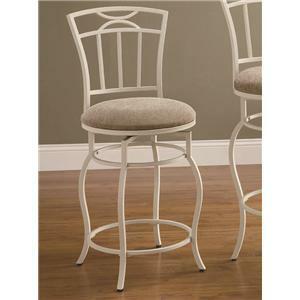 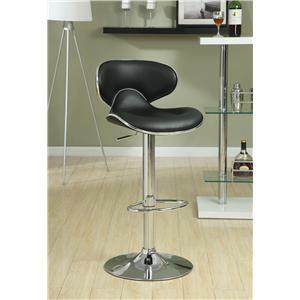 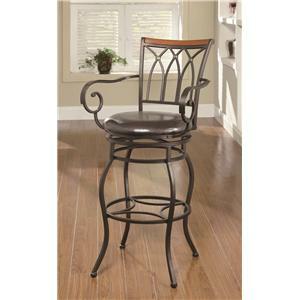 The chair adjusts from 32 to 36 inches in total height to find the comfortable seating height for your table. 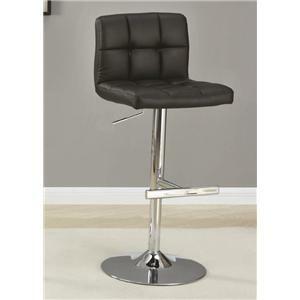 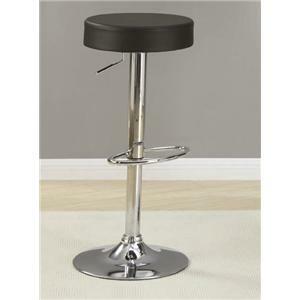 It pairs nicely with the chrome base glass pedestal table. 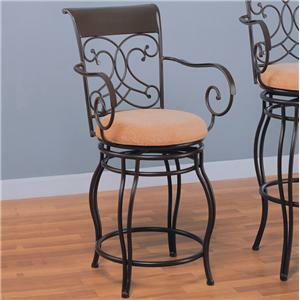 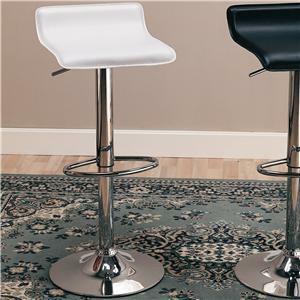 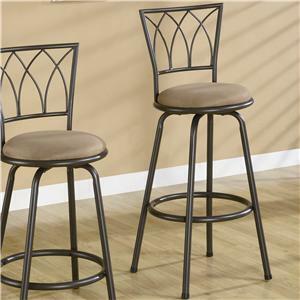 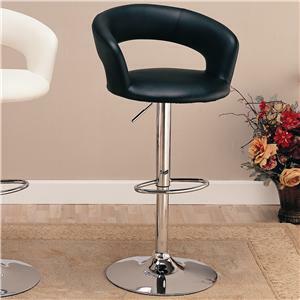 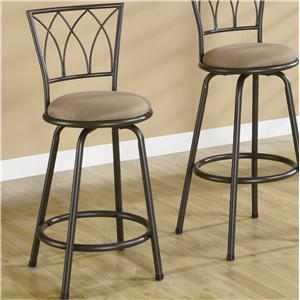 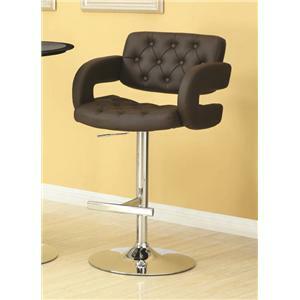 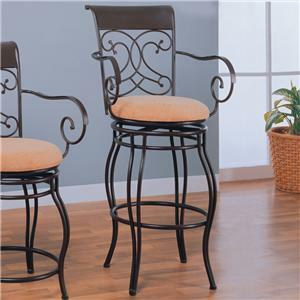 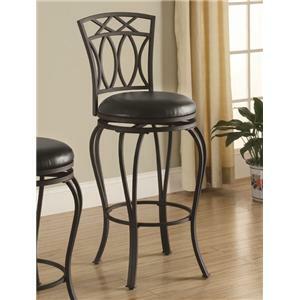 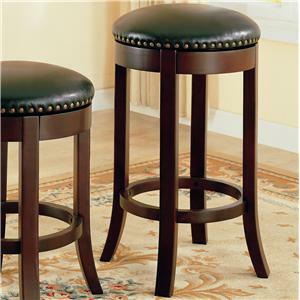 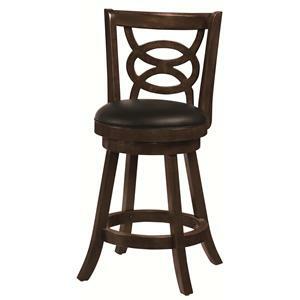 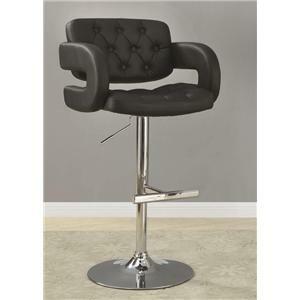 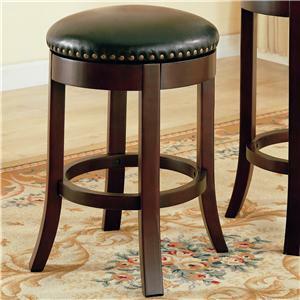 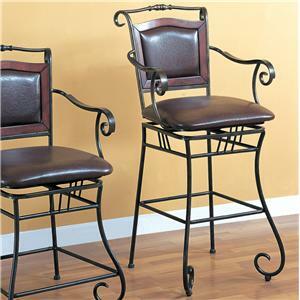 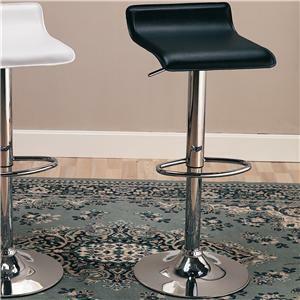 The Dining Chairs and Bar Stools Contemporary Round Tufted Black Swivel Chair by Coaster is available in the area from FMG - Local Home Furnishing.